Yoga Instructor Denise Copple strikes a pose. Cool Bull Productions recently completed filming a two-minute video for Denise Copple, a professional Yoga Instructor based out of Grand Junction, Colorado. This production type is a great sample of a short and simple marketing tool for any organization, professional, or business operation to consider. In it, Mrs. Copple presents the feature/benefit of her professional health offerings in a dynamic and fast paced segment that cements her message quickly and effectively. 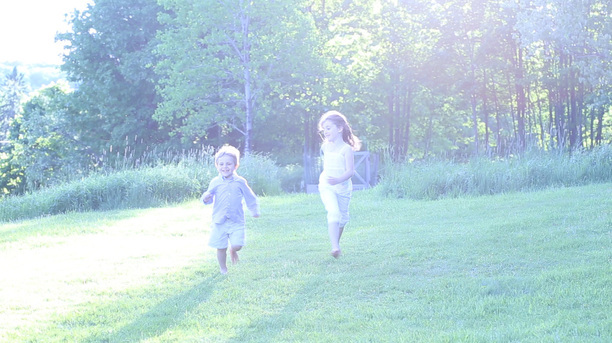 Real life brother and sister (Charles & Autumn Dohanic) begin acting careers in a 30-second commercial spot. Cool Bull Productions has begun filming on one of four 30-second commercial spots for Interstate Homes of Harpursville, NY. Each production will highlight a different style and emotion for the Client's products. In this spot, Cool Bull has scripted a heart-warming example of brother & sister companionship that is heightened by the addition of our Clients building of the family's new home. 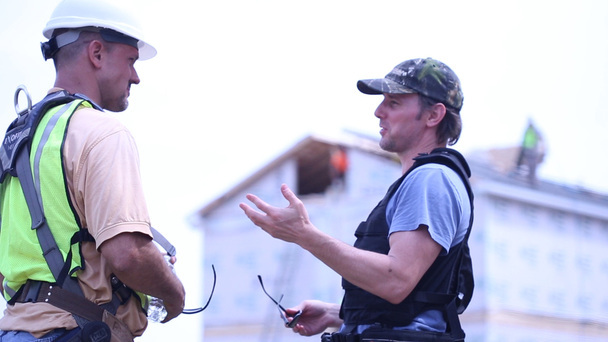 Neil Bandel (L.) of Interstate Homes discusses a shot with Creative Director, Greg Dohanic on location. Cool Bull Productions is excited to partner once again with Interstate Homes of Harpursville, NY on their new advertising campaign. As a leader in the manufactured housing industry, Interstate Homes is going above the competition with a savvy video production demonstrating the new home installation process along with the gratification experience/reaction from the expecting homeowners. Owner Neil Bandel (pictured at right) intends to utilize the video on the company website (click here) as well as in the sales lobby of their offices as another great tool in Interstate's arsenal of promotional assets.